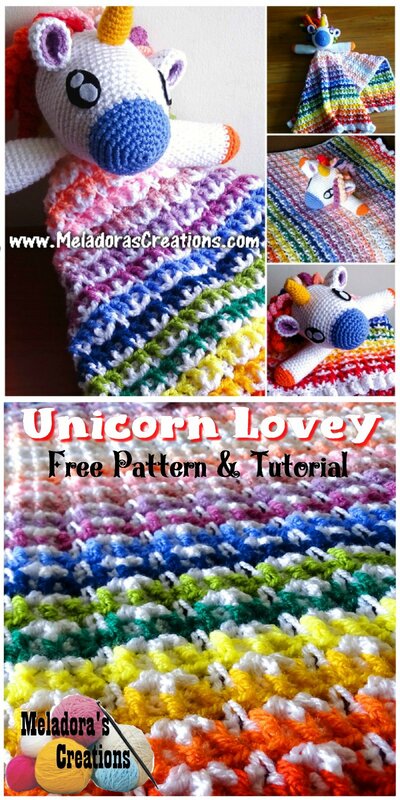 This is Part 2 of the CAL and in this crochet lovey pattern and tutorial I’ll be showing you how to make the head of the Unicorn. 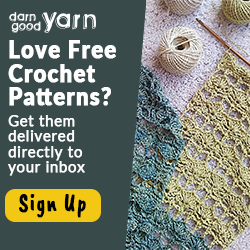 So grab your 3 mm \ C hook and let’s get started! 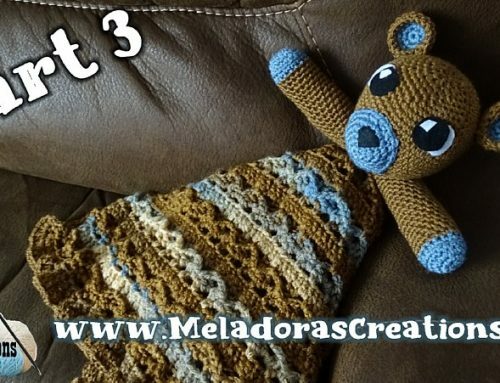 If you don’t want to wait for full pattern to release you can purchase the PDF PATTERN IN FULL with over 50 pictures. 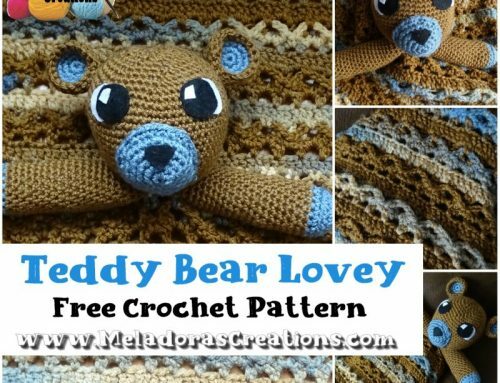 Find the PDF version of my pattern on Ravlery or on my Etsy shop. If not then please stick around because 3 is set to be released next Wednesdays (Jan 23rd) Be sure to subscribe to my YouTube channel community to be reminded. We’re starting by making the tip of the nose, so with your BLUE YARN. ch 3, and sl st into beginning ch to form a ring, sc 6 into ring. sc 2 (Inc) into all sts (12) Place a marker here. CHANGE TO WHITE you’ll be beginning the face part of the head. sc in all sts. Make sure to keep moving your marker up. Start Stuffing now, don’t over stuff to cover your stitches, but it will make finishing stuffing later much easier if you get some stuffing in now. Finishing stuffing your head. Make sure to pack it in. But don’t over do the stuffing where it starts to separate the stitches to much. sc dec in all sts. Sl st, ch 1. Leave a long tail for sewing.